This acquisition could radically change the PS4. Think back to the distant days of 2010, when rival cloud gaming services OnLive and Gaikai launched and promised to change the way we played videogames forever - without the need for a dedicated machine. They're still around and kicking, but the revolution they foresaw never quite materialized. Sony, on the other hand, may think that this is one tree worth barking up. 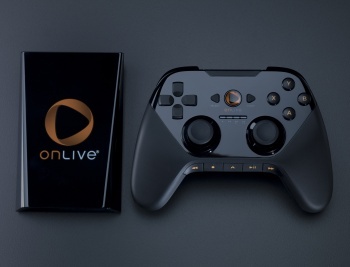 A source tells MCV UK that Sony is "close" to finalizing an agreement that would see it purchasing a "high profile cloud gaming firm," either OnLive or Gaikai. Earlier reports had suggested that Sony would be announcing a partnership with a cloud gaming company this coming Monday at its E3 press conference, but an outright acquisition is something else entirely. The source claims that the deal is "close to being signed." If true, this could potentially be a game-changer for Sony - and it would hint that the cloud gaming revolution might slowly but surely happen after all. The question though, is then - how would Sony utilize it? Perhaps they could deliver game demos or rental content without necessitating lengthy downloads, but one of the perks of cloud gaming is the ability to play high-quality titles without the need for costly hardware. If you have a PS4 with built-in OnLive support, why would you need to stream PS4 games when you can just play them directly? It's worth noting, though, that Sony's electronics division goes well beyond its gaming branch. Perhaps Sony could incorporate cloud gaming support directly into its TVs. The exact shape of how this might pan out is up in the air - if there's any truth to the rumor at all, which is by no means a sure shot. We'll find out more next week at E3.